The way I see it, there are two major milestones in making a new city really feel like home. The first is hosting an event at your house, the second is hosting a visitor. I passed this first milestone back in November when I hosted a Shabbat dinner in my new home. As I looked around my apartment, I was overcome with a feeling of joy; I was truly part of a community. From my neighbors to the Education Fellows to other local young professionals who showed up to share in the meal, I realized that I’d found a group of friends who make Jackson feel like home. Last month, I achieved the second milestone. As my hometown on the East Coast prepared for one of the biggest snowstorms in recent history, I prepared to host my first visitor: My mother. My mom and me in Mississippi! Despite the snow, she was able to make her flight to Dallas, where she slept in baggage claim, finally managing to get a connection and safely arrive in Jackson, Mississippi. 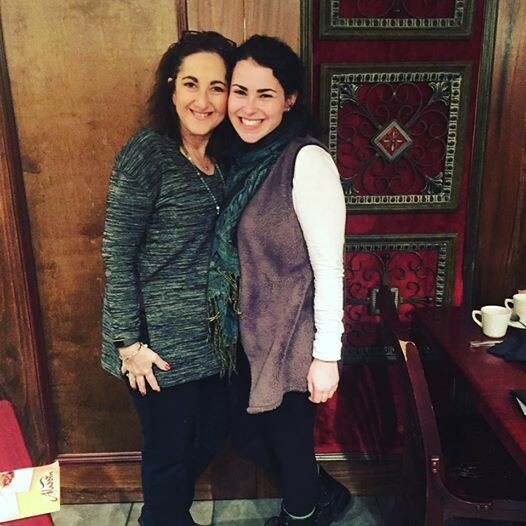 Not even terrible weather was keeping my Jewish mother from making her way to see me! I was so excited when I picked her up from the airport, not only because she had finally arrived, but more importantly because it was time to show off my new Southern home. When I moved to Jackson nine months ago, the entire city was foreign. I did not know which restaurants to eat at, which places to shop at, and I needed to use Google maps to get just about anywhere. But as I showed my mom around Jackson, I realized that this city had truly become my home. We were not simply spending three days together in any city, we were in my city and I was eager to show off everything I have come to love about Jackson. I took her to my favorite spots (shout out to Deep South Pops and the Mississippi Museum of Art) and I was proud of myself for knowing to point out various landmarks as we drove through the city. While my mom was very impressed by the city itself, she was less than impressed by my decorating abilities. Thus she set out to make my house into a home with her impeccable decorating abilities. We hung my college diploma (which I guess makes my graduation official!) and lined the walls with pictures of my family and friends. Although I am pleased with all of our decorating purchases, there are two items that stand out to me the most. The color scheme for our new decorations was based on a blanket that my grandma gave to me, that was knit by my great grandma Ruth. We also hung two tiny frames with cars made of metal scraps, which had once belonged to my great grandma Rae. My Southern apartment is now filled with even more touches of family, Jewish identity, and meaningful decor. It’s funny – I can hardly imagine what my great grandmothers would think about my big move from New York to Mississippi, but I like to believe that they would be happy and proud to see the new home I have created down south. I know I was proud to be able to share my new home with my mother, and have her help it feel even more homey. Hanging a mezuzah in Mississippi. Our table was once too big for us, then we became too big for it, and now we fit almost exactly in its seats… and in future years, with grandkids and the ongoing cycle of celebrations, we will outgrow it again.